Add the snippet below to get access to extra datalayer variables about each user on your site. Plus the exit-intent event, with more events being added soon. 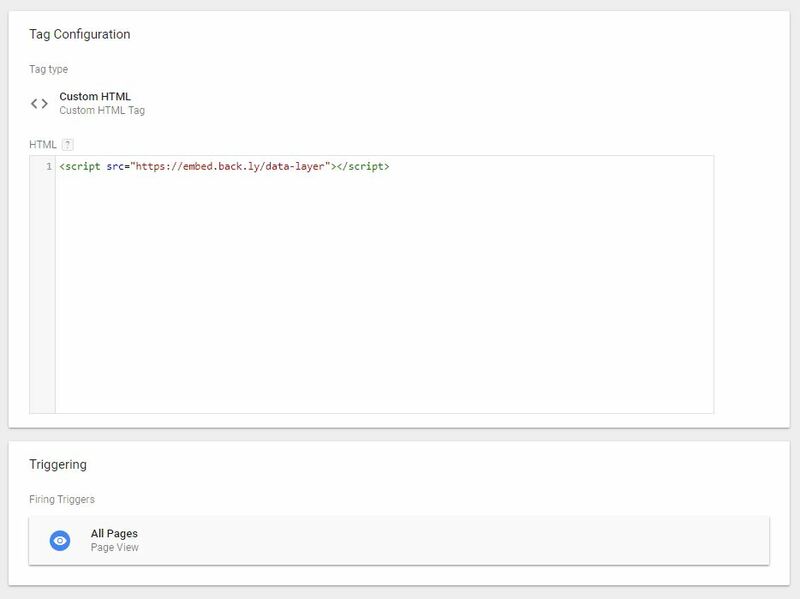 Simply copy the code over to a new tag in google tag manager and have it fire on all page views. You can then see the extra variables now available to you in the debugger in addition to the new exit-intent event, which you can use to fire Backly messages or any other tags.